Smoke inhalation is the leading cause of death due to fires. In fact, studies show that 53 percent of burn fatalities are partly or wholly caused by “being overcome by gas, smoke or toxic fumes”. Smoke inhalation is especially dangerous for the youngest and oldest patients. Those at highest risk of dying from smoke inhalation are children under the age of 5 and seniors over the age of 75 and males are twice as susceptible to smoke inhalation as females. It is a deadly, invisible killer. Nurses who are on the front lines of care play an important role in the assessment and management of smoke inhalation patients. Nurseslabs.com described the role most succinctly; “A nurse who cares for a patient with a burn injury should be knowledgeable about the physiologic changes that occur after a burn and possess astute assessment skills to detect subtle changes in the patient’s condition.” In other words, along with knowing the physical signs and symptoms of smoke inhalation, a nurse’s sensitivity and observational skills are essential to critical care for the patient. It is a unique challenge for nurses. When a burn patient presents for treatment, the source of the fire is not necessarily known. 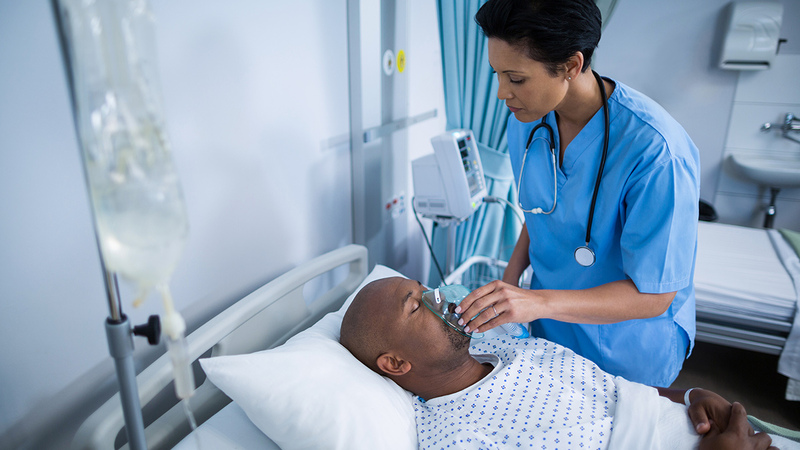 Consequently, the nurse may not know what type of chemicals, gases, and/or particles the patient may have inhaled and the type of injuries they may have caused. That makes assessment especially challenging given that the “degree of airway injury depends on the duration of smoke exposure and the composition of the smoke”. Treating burn patients and assessing smoke inhalation requires precise clinical skills, acute observation and to some extent, intuition honed from years of experience. It’s the ability to notice the “subtle changes in the patient’s condition” that can make all the difference in the patient’s care. For example, studies have shown that bronchial wheezing in burn victims is not a minor symptom, rather it is the sign of acute injury; “Pulmonary wheezing predicts inflammation, pulmonary dysfunction, respiratory failure, and need for intensive care”. When treating a smoke inhalation patient, the first steps are assessment of the patient’s airway, breathing, and circulation. Steps are then taken to immediately provide IV access, cardiac monitoring, and supplemental oxygen, as needed. The management and monitoring of the smoke inhalation patient is just as important as the initial treatment and diagnosis. Studies have shown that the initial evaluation of a smoke inhalation patient is not necessarily a good predictor of airway obstruction. Patients must be closely monitored over the next 24 to 48 hours as airway edema continues to develop; in some cases rapidly. Managing smoke inhalation patients requires numerous, highly specific clinical skills and assessments. Continuing medical education (CME) courses can help nurses to keep those skills current. Emergency preparedness drills can coordinate the knowledge, skills, and response of nurses and local first responders to fires and potential injuries. Given the high risk of smoke inhalation to patients, and the high degree of mortality associated with it, nurses need to be armed with specialized skill and knowledge. They may be faced with the care and treatment of deteriorating patients who require compassionate end of life care. Of all the challenges faced by nurses in patient care, it’s fair to say that these may be some of the toughest. Training and education will help. Support from colleagues and debriefing after the fact will pave the way forward. Nurses play an essential role in every care team and are indispensable for patients who need constant, compassionate care at the bedside.